Free local delivery & We can finance up to 2 years interest free. Just ask us for details. Throw out the old stuff! We got your comfort. The Good Stuff. Shop Online & order in store Mon-Sat. Special financing for up to 24 months available with approved credit. Financing is provided with approved credit by Wells Fargo Bank N.A. Rudd Furniture is pleased to provide our preferred financing services thru Wells Fargo Bank N.A. on in stock & non-clearance items. Subject to credit approval. Requires 10% down payment plus delivery fee on all Wells Fargo financing options. All special orders require a 50% non-refundable down payment. See store for complete details. Just request any sales person to assist. Suzanne Dunning Key is an Interior Design graduate of the University of Alabama. Free local delivery & Set up. *All regular priced purchases over $850 will qualify. *Free Roundtrip Delivery up to 20 miles. Add $1 per driven mile over 20 miles. O.W. Rudd began with a small furniture store on the square in Ozark, Al. Later his son, James O Rudd moved to a larger location in Dothan on West Main Street, where it still resides today. His son, Jason later joined the family business. Today, the Dothan Showroom serves families throughout Alabama, Georgia , and Florida. A team of design assistants and delivery professionals can help you choose choose the “Good Stuff.” With the best name brands available, your sure to find the perfect furnishings for your home. Choose in stock or special order. 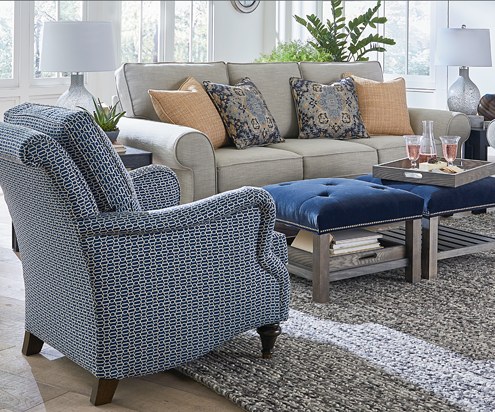 You can choose your Upholstery piece and Design your own fabric combination! 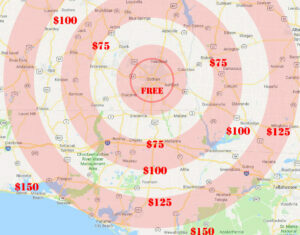 Rudd Furniture serves Dothan, all of Alabama, West Georgia & Southwest Florida. Rudd Furniture is the best place to shop for furniture in Alabama. Visit Rudd Furniture to get the best furniture shopping experience in Alabama, especially in the Dothan area. Rudd Furniture also serves the surrounding areas of Enterprise, Eufaula, Ozark, Troy, Blakeley & Bainbridge Georgia, Marianna, Panama City, Florida. Shop Rudd Furniture if you are looking for furniture stores in Dothan, Florida Panhandle, Southwest Georgia or the Wiregrass.